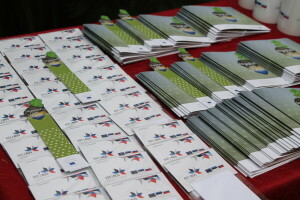 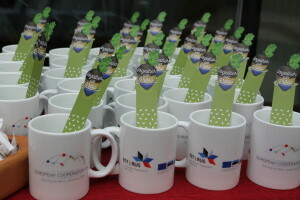 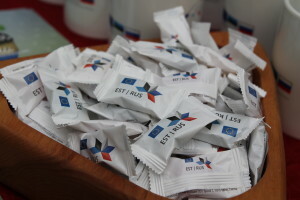 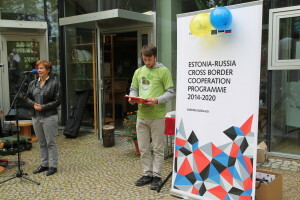 First ECDay celebration event in 2016 within Estonia-Russia and Estonia-Latvia-Russia CBC Programmes took place in Tartu, Estonia. 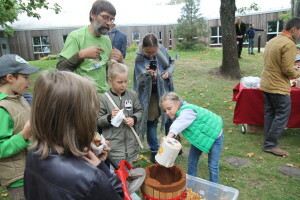 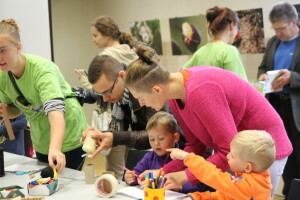 Apple flavoured day full of music, joint activities and cheerful participants marked the European Cooperation Day (ECDay) in Tartu Environmental Education Centre (TEEC) on 17th September 2016. 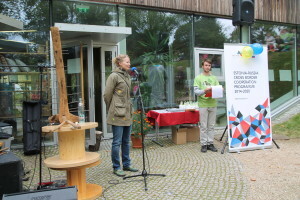 The event was officially opened by the Head of the Joint Technical Secretariat (JTS) of Estonia-Russia CBC Programme Ms Unda Ozolina, Head of the JTS of Estonia-Latvia-Russia CBC Programme Ms Dace Krupenko, Vice-Mayor of Tartu Ms Tiia Teppan and member of the board of Tartu Environmental Education Centre (TEEC) Ms Piret Pungas-Kohv. 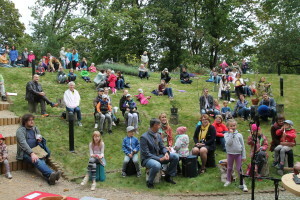 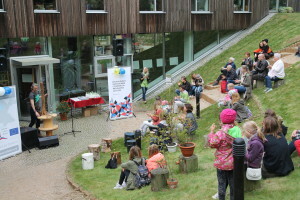 After welcoming speeches opening ceremony of the wooden xylophone took place in the park area of Tartu Environmental Education Centre. 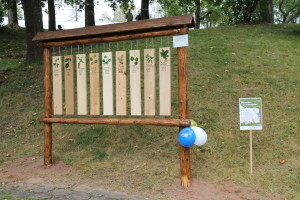 Xylophone made of various type of woods grown in Estonia, Latvia and Russia introduces different species of wood and symbolizes cooperation where each wooden key sounds differently but together nice music can be produced. 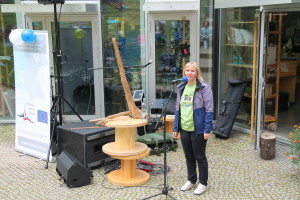 First sounds of music and melody out of the wooden xylophone were derived by Estonian musician Silver Sepp. 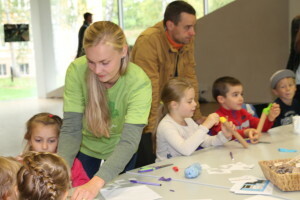 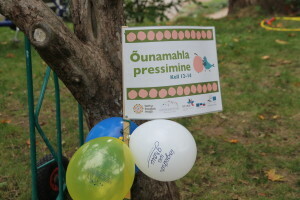 Several workshops as joint family activities promoting environmentally friendly attitude were provided. 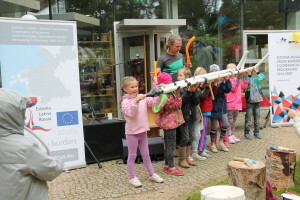 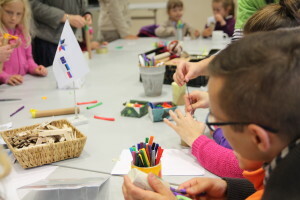 Children together with parents were involved in making musical instruments of reused materials. 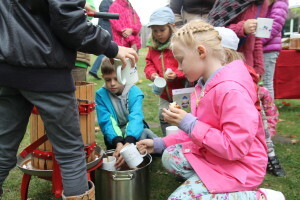 Apple juice making initiative was attracting participants and giving opportunity to everyone to be part of the process cooperating in the preparations and tasting the fruits of it. 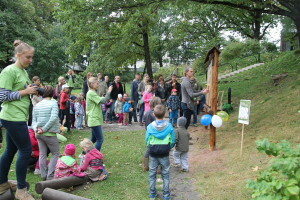 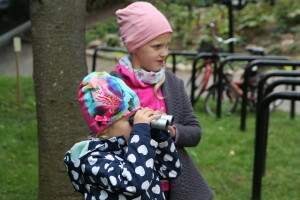 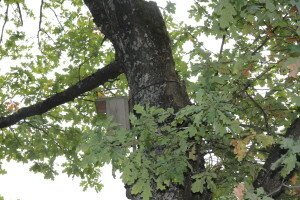 In frame of the ECday the wooden birds were permanently installed in the park area of the TEEC and during the adventure game children were taught to be attentive in the forest to find and identify different birds. 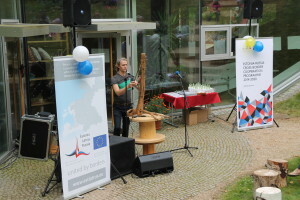 The whole event full of feelings was accompanied by performances of Silver Sepp playing on fantasy instruments. 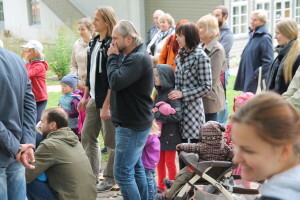 He has given lesson how to listen to the sounds of nature and how to use the available tools for making music. 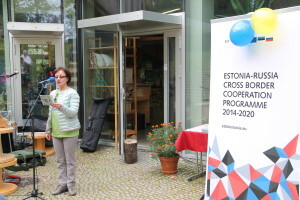 European Cooperation Day event in Tartu, Estonia reflected in the Gallery.